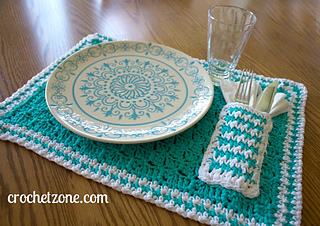 Set a pretty table outdoors or indoors with this placemat. The Center is worked corner to corner and the border is a herringbone design. 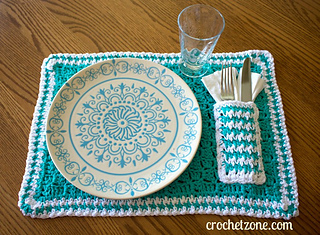 Add the pocket for silverware and a napkin and keep everything neat and in place, especially when outdoors! 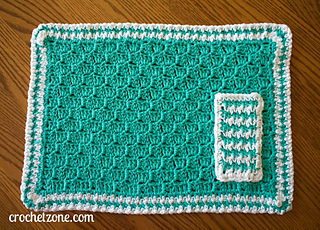 Follow me on Facebook for more free patterns and other fun crochet stuff! Follow my Blog for new free patterns, tutorials and other fun stuff!